So, as is too often the case, it was quite early, well before the sun came up, but cats get lonely in the night and want company and attention. This is my obligation. So, in a half-daze, after delivering a bit to eat and some patting, I let my pen do whatever it wanted within reason. The result looks like a riff on both Calder and Miro. But, the point is, let the pen go and once it starts there is no turning back. I wasn’t concerned about proportion (the head should be roughly one-ninth a person’s height normally and the arms, never mind). But, that’s the point isn’t it? When I tell civilians the relative proportions of the human form, they always say, “But, heads are much bigger than that, aren’t they?” What is not always what it seems to be. By the way, the “169” refers to the page number in a sketchbook that I can “Zig Zag” because it goes every which way. And, the colors were added later in PhotoShop. 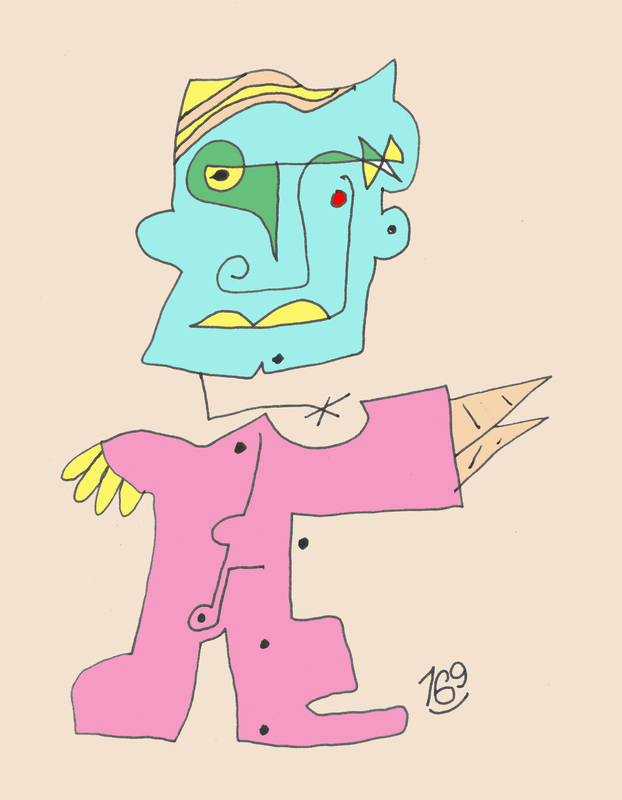 This entry was posted in Uncategorized and tagged Calder, figurative, line drawing, Miro, pen and ink, PhotoShop, proportions. Bookmark the permalink.